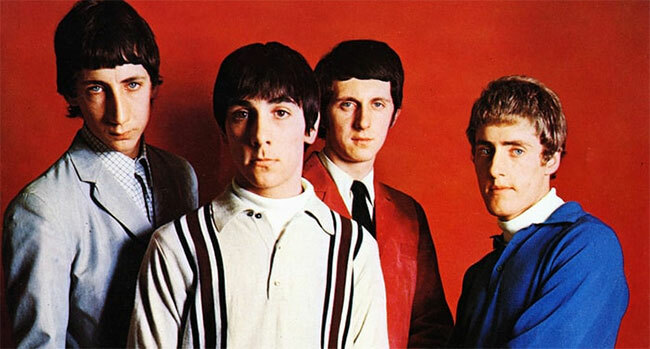 Take a ride on the “Magic Bus,” as AXS TV salutes one of rock n’ roll’s most influential acts in the Saturday Stack: The Who block on Saturday, July 22nd at 6 pm ET/3 pm PT. The night of music features in-depth interviews, rare archive footage, and unforgettable performances, kicking off with an insightful look at the band’s long-lasting impact as true rock trailblazers in the 2016 profile Rock Legends: The Who, with an encore broadcast at 11pE/8pP. Next, newsman Dan Rather sits down with The Who founder Roger Daltrey to discuss the legendary front man’s celebrated career on a powerful episode of The Big Interview at 6:30 pm ET, with an encore at 11:30 pm ET. Then, at 7 pm ET, filmmaker Jeff Stein presents the rock icons as you’ve never seen them before in the landmark 1979 rock doc The Kids Are Alright—“a celluloid rock n’ roll revival meeting” that captures the wild heart and infectious spirit of the beloved Brits, as they spend time with their fans, make press appearances, and rock out as only they can. The Kids Are Alright will re-air at 12 am ET. The night comes to a close at 9 pm ET with the band’s groundbreaking Oscar-nominated rock opera Tommy, starring Roger Daltrey as the titular blind, deaf, and dumb wunderkind who embarks on a twisting odyssey of music, drugs, religion, and pinball. Golden Age favorites Ann-Margret and Oliver Reed lead a star-studded cast that also boasts appearances from Elton John, Jack Nicholson, Tina Turner, Keith Moon and Eric Clapton, among others. Tommy will re-air at 2 am ET.